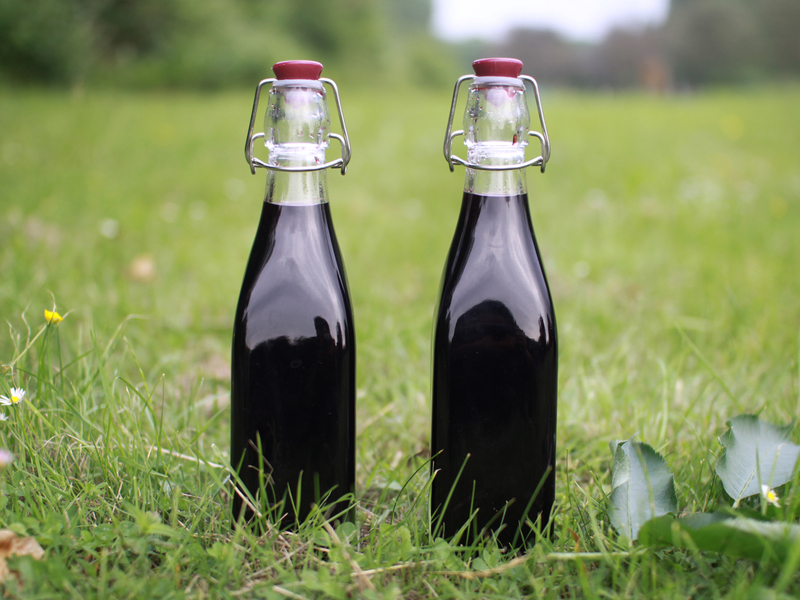 There are lots of different uses for this delicious late Summer vinegar. 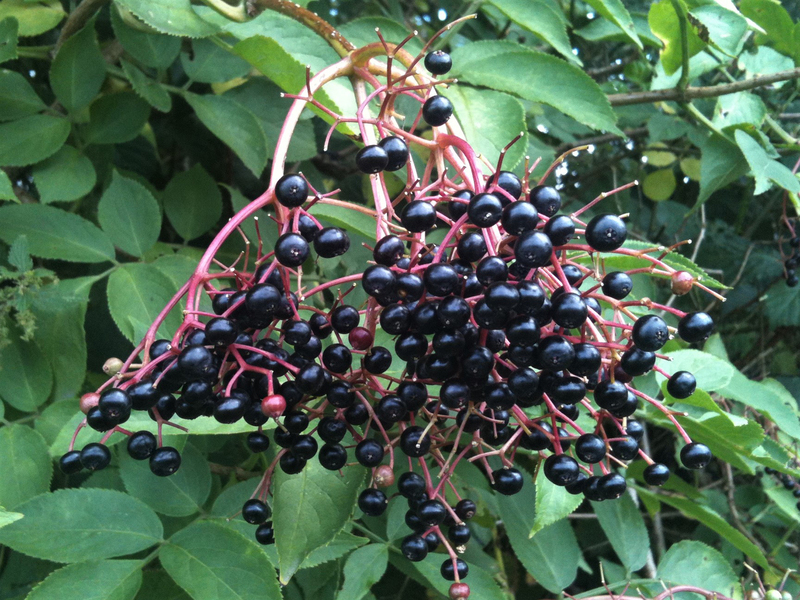 Use ripe berries and remove them from the umbels leaving the green stems behind, a fork might help with this task. Place the berries in a suitable container and add the vinegar. Cover the container and let it steep for 5 days stirring once or twice a day. After 5 days strain off the liquid (set the berries aside) then add sugar. Add up to 700g of sugar for every 500ml of strained liquid. The amount of sugar can be reduced to taste, less sugar will make it thinner and more vinegary, while the suggested ratio produces the syrupy result that makes it so versatile. Bring to the boil and simmer for 10mins, then bottle in sterilised bottles or jars. It feels like a waste discarding the berries which still pack a lot of juice, so we suggest covering them again with some vinegar, adding spices to taste and making an elderberry sauce for marinades.